Everything Audio Network: Audiophile Review!Bryston A2 Three-Way Tower Loudspeaker:"Honest Audio Reproduction, Great Price"
"Honest Audio Reproduction, Great Price"
Dislikes: no negatives at all! Two years ago, Bryston got into the speaker business and its successive release of various models prove that the company followed the design tenants of its prestigious electronic audio products, accuracy, accuracy, accuracy. I reviewed the Bryston Mini-T last year and found the very reasonably priced mini stand speaker to be an excellent translator of hi-res music, in all of but the lowest reaches of bass response. The under $3,000, six-driver, A2 three-way takes the accuracy motif a step further with increased resolution in the middle frequencies that have resulted in even more sonic realism, as fashioned by a fairly conventional design from Bryston and Canadian speaker manufacturer Axiom. They are, indeed, made in Canada. Bryston now has 15 freestanding speaker models to choose from, including the A1, A2, A3, Mini-T, Model T and three subwoofers, as well as in-wall options. This company has gotten serious about its speaker line. In the A2, the same design principles used in the acclaimed Model T tower, while leveraging a more compact, décor-friendly, form factor by including a new premium quality 6.5" woofer to replace the the 8" woofers found in the Model T design. The Model A2 is slightly smaller in stature then the Model A1, having removed one of the (sub-) woofers to create a loudspeaker with a slightly smaller physical profile. 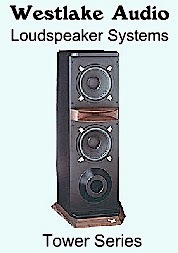 The speaker’s dimensions are: 39.5” H x 9.25” W x 17” D.
The driver compliment includes the two 6.5-inch woofers, dual 5.25-inch midrange drivers and a duo of 1-inch soft dome tweeters. The bass reflex speaker contains a front, bottom-mounted port, which I prefer over a rear mounted port. In my experience, the front ports are not as fussy as rear ports when placing speakers near room boundaries. That is just what they delivered. No hyped mid-bass or spiked 2-5 kHz presence peaking. Just true audio projection from a quite-affordable tower speaker. For small-to-mid-sized rooms, the A2's are a great choice for those who value transparent audio playback — especially for those who listen to hi-res. The 4-ohm impedance, Bryston A2’s anechoic measured frequency response is spec’d at 31 Hz to 20 kHz, plus or minus 3 dB. Sensitivity is listed at 87 dB (2.38V, 1m, anechoic). Power handling is 10 watts to 400 watts. Maximum SPL is 114 dB. 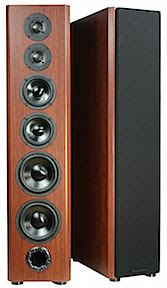 The three-way speaker crossovers points are centered at 160 Hz and 2.3 kHz. The Bryston A2 is a handsome speaker with its magnetic attached grill on or off. And although its a fairly tall speaker, it is not that heavy at 61 pounds. It comes with screw in feet for conventional floor standing, or it can be configured with spike riggers. The A2 comes in several finishes including: black ash, natural cherry, Boston cherry, as well as customer-requested, optional finishes. The Bryston A2’s were setup in my main audiophile room, using a variety of amplifiers including: the power beast, Bryston 14BSST-2 600 wpc stereo amp (bipolar output); Rogue Audio’s ultra-quick, hybrid tube input/digital output Medusa: the Class-A weighted, MOSFET output Pass Labs x350.8, the smaller, all-Class-A Pass Labs X30.5 and my oldie-but-goodie Macintosh Mc275 stereo time amp, circa 1965. Preamps included Bryston BHA-1 (balanced output), Coda High-Current, Rogue Audio all-tube RP-5, Mytek Digital Manhattan DAC/preamp, Oppo HA-1 DAC/preamp and Pass Labs XP-10. I also monitored via a Benchmark DAC2-HGC. Sources included TASCAM DA-3000 24/192-DSD recorder/player, Oppo BDP-105 (SACD, DVD-A, downloads transferred to Blu-ray data), Clear Audio Emotion turntable with Benz MC coil cartridge, Apple Macbook with Audirvana playback software and my trusty Android tablet hi-res player to handle 24/352 and 24/384 PCM: a Dell Venue with USB Audio Player Pro software. 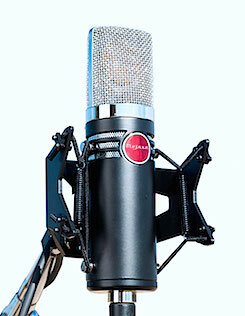 All source, preamp and speaker cables were provided by Wireworld via their standard Eclipse series. I also used Wireworld’s Starlight digital, USB and HDMI cables. Built to be exceptionally high quality and affordable, new driver designs, enclosure vibration analysis, crossover refinement, and anechoic chamber testing all went into creating an amazing product which brings superior design to the table. I installed the rigger platform and spikes, though I seldom have a floor coupling problem in my basement listening room. The rigger/spikes also puts the tweeters a little higher with regard to the listening position. The speakers were placed about 8 ft. apart, towed in slightly. I initially auditioned them with the grills on, but ultimately thought they projected more air with the grills off. Since the speakers were demos used for trade shows and dealer demos, there was no need for a protracted burn-in period. Per my normal review protocol with speakers, I ran some test tones and calibrated noise tracks through the Pass X350.8 amp/XP-10 preamp/Bryston speaker system to get a general frequency response reading. I was curious about the slender speaker’s dual-woofer, bass response. With my AudioControl RTA, I measured 34 Hz at the minus 3 dB point with the speakers away from room boundaries. Darn good performance for small drivers! In my first subjective audition, I paired the A2’s with the Pass X350.8 amplifier, Oppo BDP-105 (used as a player) and the Benchmark DAC-2 HGC D/A. Since the last Bryston speaker that I reviewed, the Mini-T, was a one-driver midrange three-way, I was curious to hear the second midrange equipped A2. Nothing tests midrange better than well-recorded vocals, so I chose the HD Tracks download of the Diana Krall — Glad Rag Doll album, a 24/96 LPCM recording. I must say that Bryston did its home work on this three-way design. Krall’s sultry voice was spot on with the A2. Ms. Krall’s voice was fully textured and properly balanced with no recessiveness that I notice on some 3-ways. There was zero sibilance as well, which also revealed the quality of the midrange to tweeter crossover. I confirmed the A2’s vocal presentation character by playing the 24/192 download of the Linda Ronstadt — Heart Like a Wheel album. Ronstadt’s terrific rendition of J.D. Souther’s “Faithless Love” revealed Ms. Ronstadt’s dynamic vocal power — from just above a whisper to the song’s crescendo — it gives me goose bumps when played from a great set of speakers. The A2’s offer up much of the vocal performance that I hear from much more expensive conventional driver speakers. And again, no excessive female voice sibilance. Switching to music instruments via the Jazz genre, I played one of my favorite audiophile test recordings, Warren Bernhardt — So Real, a Tom Jung-recorded DSD jewel from 2000 that I converted to 24/192 to make it more computer compatible. Versus my MartinLogan Montis electrostatics, an entirely different design and over $10,000 per pair, the A2’s were in the ballpark as far as tonal accuracy. Imaging was quite good with A2s. As a forward facing three-way with a nice spacious soundstage, it relays ample detail fill. However, the A2 was not as room filling as the electrostatics, which radiate from all sides. Different design, different price point, but it always is fun to compare. Since I am a fast, tight bass fan, the A2 delivered the low-end goodies. Balanced, boom-free and taut, the A2’s dual, small-driver performance never left me wanting. From bass tom hits, organ performances and upright and electric jazz bass, the A2 could handle it without any aberrant artifacts. The three-way Bryston A2 also should impress classical music fans. On the Janos Starker — Complete Bach Cello Suites (via Mercury Living Presence SACD), the vividly textured cello tones, so beautifully played by the late Mr. Starker, were relayed with an expansive stereo image from the Bryston A2’s. 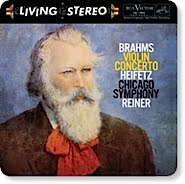 The ability to project the mid-to upper level cello detail, in a gorgeous stereo spread, was also a characteristic you could easily hear via the A2's. Those low level breaths and chair squeaks are part of the recording’s charm, and I heard then quite clearly. On my own hi-res guitar tracks (a 24/384 stereo recording of a custom Taylor guitar using a discrete microphone preamp and professional instrument microphones), the Bryston 14-B/A2 combo really nailed the ultra-hi-res stereo spread and the string harmonics. 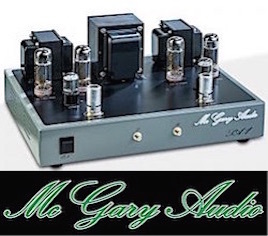 I did numerous listening sessions with the A2 duo and Bryston 14B-SST2 amp, a brute of a stereo amp that is about as accurate as you can get from a conventional Class A/B amplifier. 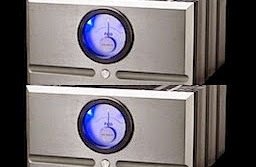 I figured a lot of readers want to know how the Bryston speakers match up with Bryston amp. To my ears, it is a perfect match: the dynamic, tight bass and open top-end 14B SST-II amplifier outputting its accuracy through an equally accurate speaker. The dynamic realism is obvious when listening to the tandem. On my own hi-res guitar tracks (a 24/384 stereo recording of a custom Taylor guitar using a discrete microphone preamp and professional instrument microphones), the Bryston combo really nailed the ultra-hi-res stereo spread and the string harmonics. An as-played, unprocessed dynamic range in hi-res makes it that much more real sounding. I had no complaints with the Bryston A2 pair, they sounded good with all my amps, even those with a bit of color, such as my classic Mac Mc275 stereo tube amplifier. 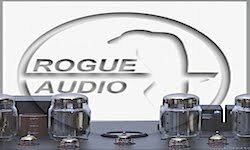 With the Rogue Audio Medusa digital/tube hybrid amplifier, the listening sessions went back to accuracy territory — with the Bryston/Rogue delivering a rousing, flat-response performance of the Tchaikovsky 1812 Overture, the famous 1978 Telarc digital recording on SACD. I was surprised at how well the little 6.5-inch woofers handled the vicious cannon shots. Based on my review of the Bryston Mini-T speaker in 2014, I expected that the taller, small tower, three-way A2 would have the sonically neutral character but with more low end, a more-focused midrange and expansive soundstage. That is just what they delivered. 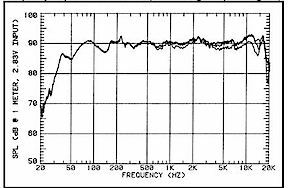 No hyped mid-bass or spiked 2-5 kHz presence peaking. Just true audio projection from a quite-affordable tower speaker. For small-to-mid-sized rooms, the A2's are a great choice for those who value transparent audio playback — especially for those who listen to hi-res. Based on my testing, I am also awarding the Bryston A2 an Everything Audio Network Stellar Sound Award.